A hearty dish to shake off any vestiges of winter, the earthy notes of roasted mushrooms complement the freshness of sautéed spinach beautifully. Then, stealing the show is a lightly breaded, buttery, flaky Pacific cod fillet, making for a nutritious, flavorful meal. Halve smaller and quarter larger mushrooms. Toss mushrooms with ¼ cup olive oil, vinegar, & a pinch of salt + pepper. Roast in a rimmed baking dish in the oven for 10 minutes. While mushrooms are roasting, make breading by mixing panko crumbs with zest of 1 lemon, 1 tbsp olive oil, parsley, and a pinch of salt & pepper. After 10 minutes, remove mushrooms from oven and push to sides of baking dish. Add Pacific cod to baking dish with mushrooms and brush with mayo. Top evenly with panko mixture and bake for 10 more minutes. While Pacific cod bakes, add 1 tbsp olive oil to a large skillet over medium heat. Once hot, sauté garlic, spinach, and salt + pepper to taste. Stir frequently. Once the spinach has wilted, remove from heat. Cut the zested lemon into wedges. Remove Pacific cod from oven after 10 minutes or once it flakes easily and the panko is nicely browned. To serve, plate Pacific cod portions with roasted mushrooms, sautéed spinach, and lemon wedges. Sarah’s pro cooking tip: Sauté your spinach with white truffle oil to really elevate this dish! Sarah recommends pairing this dish with a Sauvignon Blanc or a buttery Chardonnay. 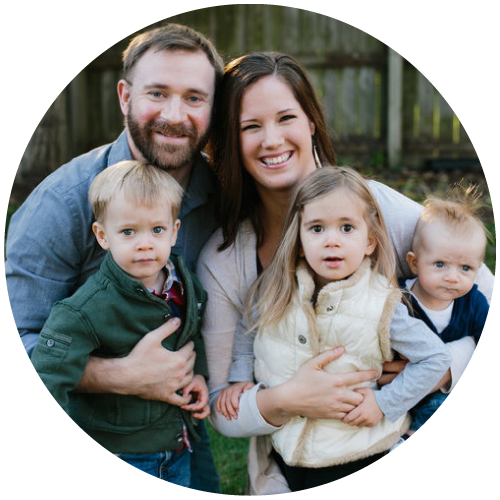 Sarah Hauser is a home chef, food blogger, mother of toddler twins & a baby boy, and one of our wonderful members in the Chicagoland area. Her background is in the non-profit world, serving kids in under-resourced communities and helping to fight childhood malnutrition around the world. Needless to say, she does great work! Now, raising kids takes up most of her time, but when she can, you’ll find her cooking up tasty recipes like this one. P.S: Check out Sarah’s food blog for more yummy recipes!